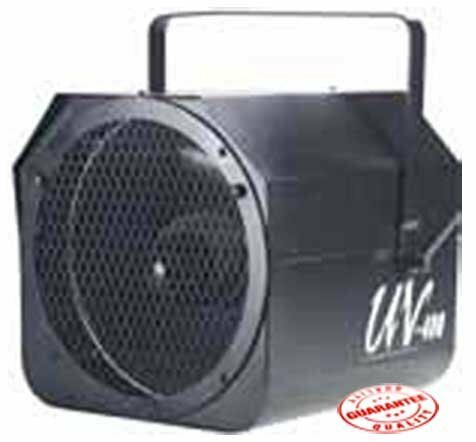 High output 400 watt blacklight with wide angle dispersion for use in larger venues, theatrical stages or nightclubs. Rugged metal housing with aluminum reflector built-in. Includes hanging bracket.